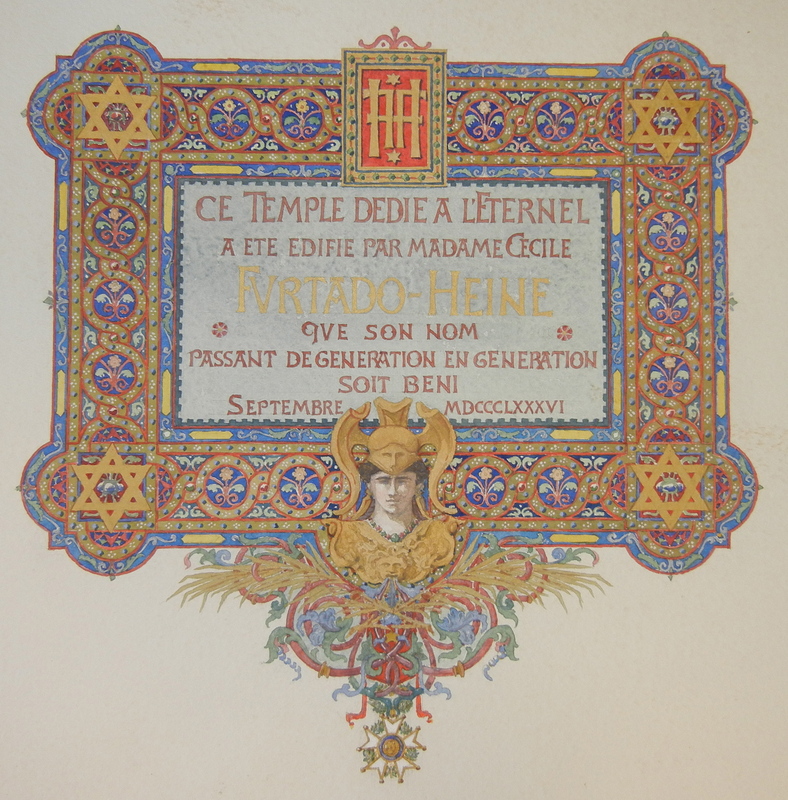 Perhaps one of the most beautiful items in the Rosenthall Judaica Collection is an elaborately decorated bound manuscript created on the occasion of the dedication of the Versailles Synagogue on September 22, 1886. 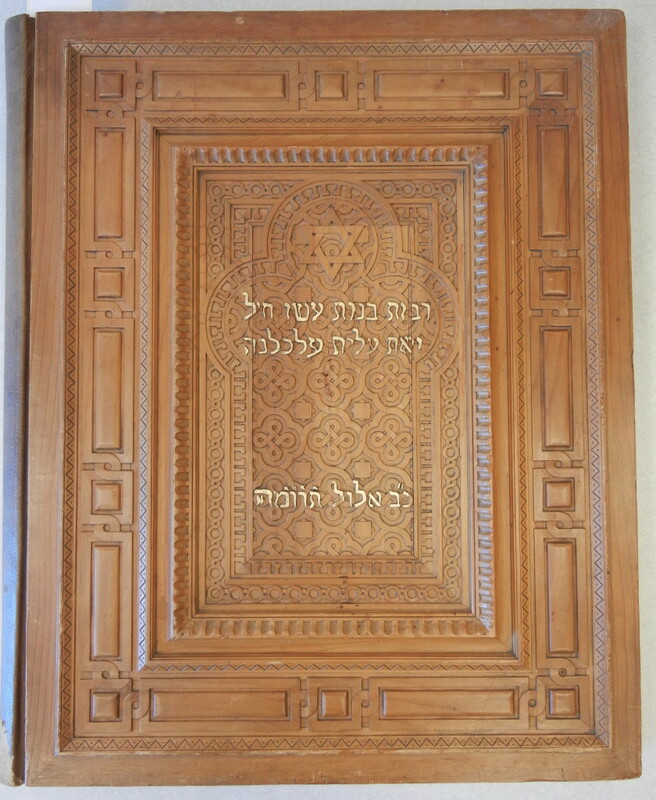 In between intricately carved wood covers are a hand painted dedication page, photographs of the interior and exterior of the synagogue in Versailles, and text of speeches given at the synagogue’s inauguration. The carved wood cover of the manuscript bears Hebrew text excerpted from Proverbs 31: Many daughters have done valiantly, but thou excellest them all. This text is most likely in reference to Cécile Furtado-Heine, a French philanthropist whose contributions allowed for the building of the synagogue in Versailles. 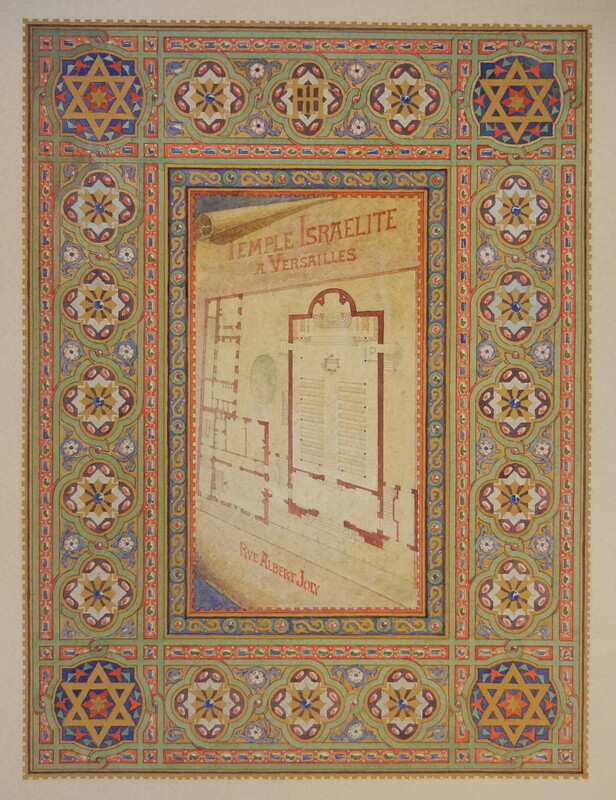 A hand painted illustration at the beginning of the manuscript also pays tribute to Cécile Furtado-Heine’s role in the building of the synagogue: “Ce temple dédié à l’Eternel à été édifié par Madame Cécile Furtado Heine, que son nom passant de génération en génération soit béni septembre 1886.” This same inscription can be found on plaques at the entrance of the Versailles Synagogue. A second hand painted page shows the plan for the synagogue’s interior, the work of architect Paul Blondel. 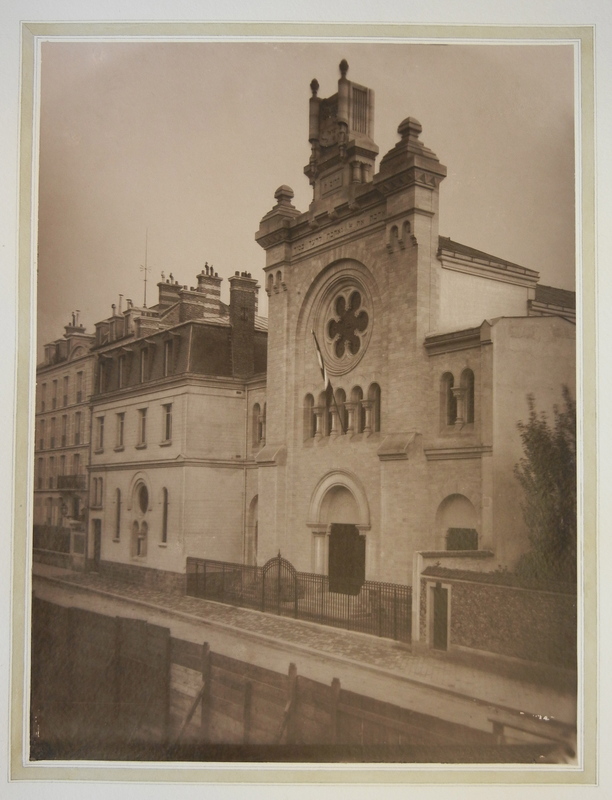 The architect Alfred-Philibert Aldrophe is responsible for the synagogue’s exterior. 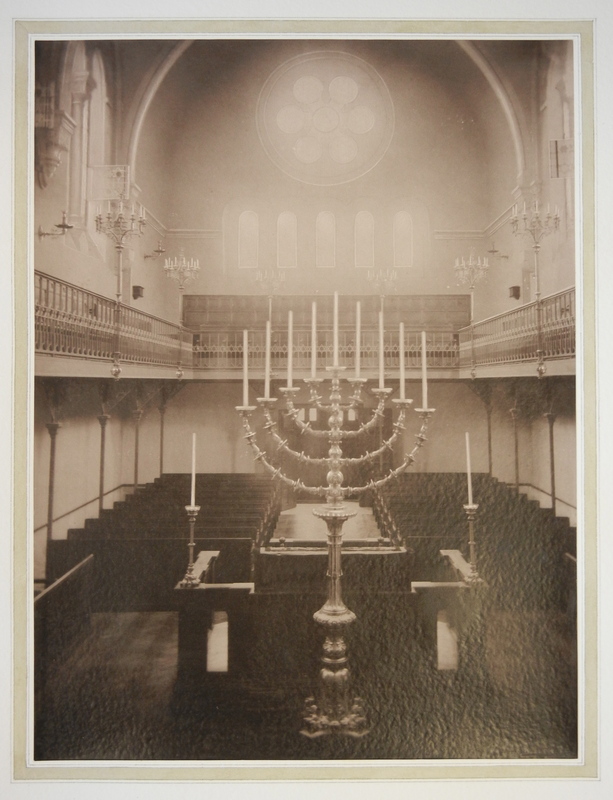 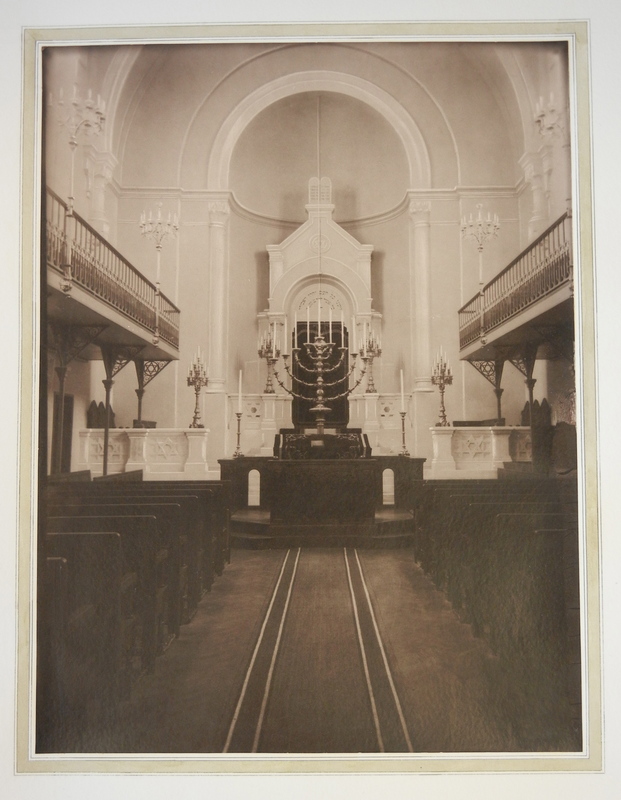 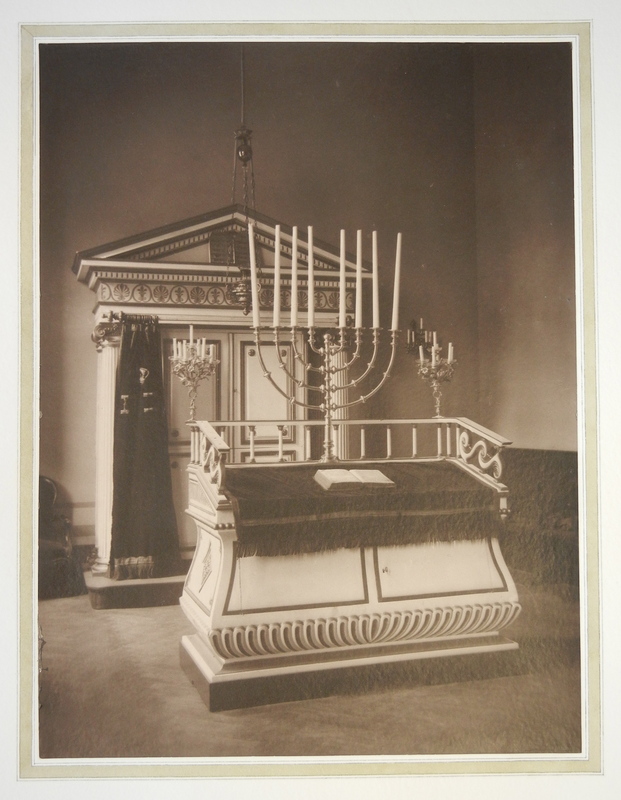 The manuscript also contains large black-and-white photographs of the exterior and interior of the Versailles Synagogue at the time of the inauguration. 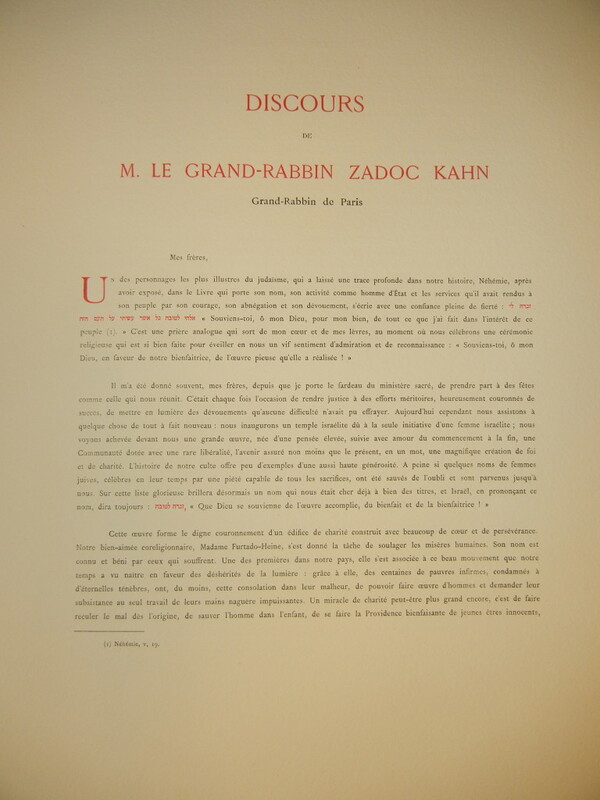 The photographs are followed by the text of speeches given by Rabbi Zadoc Kahn, Rabbi Emmanuel Weill, and Rabbi Mahir Charleville on the occasion of the synagogue’s inauguration. 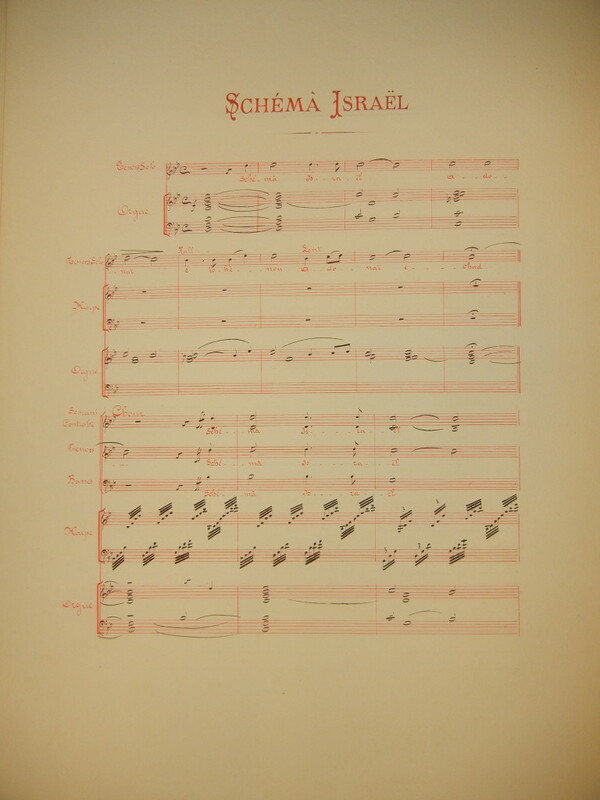 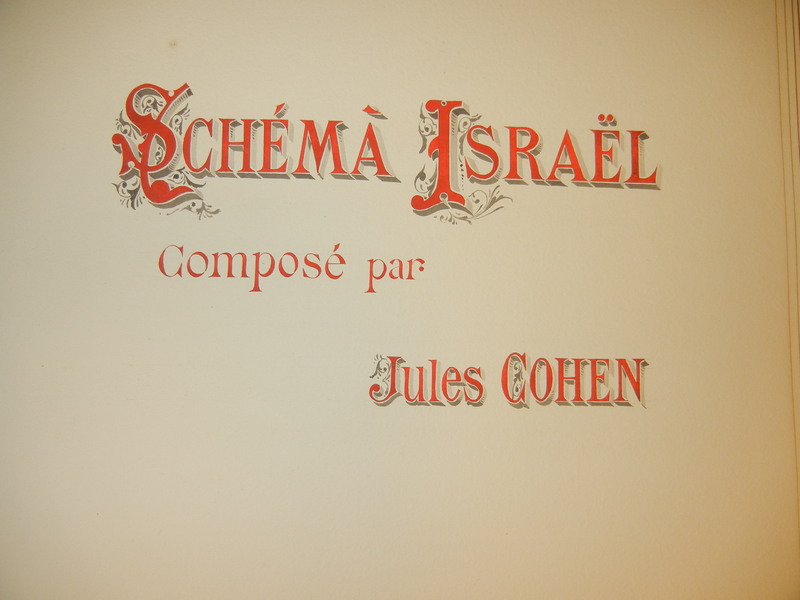 The manuscript concludes with handwritten scores for two pieces composed by Jules Cohen, including the Shema Yisrael.